Can You Short an ETF? Stocks go up, stocks go down. ETFs go up, ETFs go down. Indexes go up, indexes go down. You get the idea, but some people don’t. Whenever people consider investing strategies, they think of how to buy an asset or get long. However, ​there are two sides to every trade and shorting an ETF position might be just as profitable as a long position. Why Should I Short an ETF? There are four reasons to consider putting on a short ETF position and these reasons have reasons of their own. First, let’s start with the best reason to sell an ETF and that’s to capture some profit. Taking Profits – This is my favorite reason to sell an exchange-traded fund. For example, if you made a nice play on a solar energy ETF and the price went up, you can consider closing the position and locking in your gains by selling some or all of the long ETF position. Hedging Downside Risk – There are many types of risks you can hedge utilizing a short ETF position. For example, general portfolio downside risk can be hedged using a market ETF. Or if you have downside exposure to a certain sector, an industry ETF or commodity ETF can help alleviate some of your risk. There are even ETF short strategies to hedge inflation and interest rate risk with currency ETFs and bond ETFs. Have downside foreign exposure? Foreign ETFs. The choices are plentiful. Hedging Trading Positions – For the advanced trading strategies, short ETF positions can be a way to hedge downside risk in a portfolio that contains index baskets as well as derivative assets like futures and options. 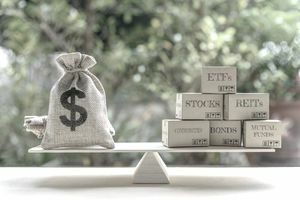 Gaining Downside Exposure – If you are bearish on a certain investment, sector, or market, putting on a short ETF position may help you capitalize on your research. And once you feel you have captured the warranted amount of profit on a short ETF trade, you can always unwind by purchasing the ETF and offsetting the risk in your portfolio. Or you can always lock in profits by using another ETF strategy to hedge the upside risk. How Do I Short an ETF? Once you decide you are ready to put on a short ETF position in your portfolio there are two ways to accomplish your goals. Sell an ETF – The most obvious way is to call your broker or log onto your online account and make a short ETF transaction. You can sell an ETF at the market (be careful with volatile ETFs) or you can even designate a certain price point (again be careful, there is the possibility you do not get your order filled if the price falls). Buy an Inverse ETF – Due to trading restrictions or margin limitations, there may be times it’s not possible to sell an ETF. A short ETF has greater risk than a long ETF position since the risk is unlimited to the upside. With a long ETF position, the risk is limited to the price of $0. So, to help investors create short ETF positions without actually selling an ETF, some ETF providers created inverse ETFs - designed to track the inverse price of an index or underlying asset. As the price of the underlying product falls, the price of an inverse ETF rises. Perfect for those who want a short ETF position, but can’t actually sell an ETF. As you can see, there are a few good reasons (actually a lot of good reasons) to short an ETF and there are different ways do so. So in the immortal words of Elmore Leonard, “Get Short." Should I Go with an ETF or a Mutual Fund? Is an ETF Better Than a Mutual Fund? Should You Buy Commission-Free ETFs?